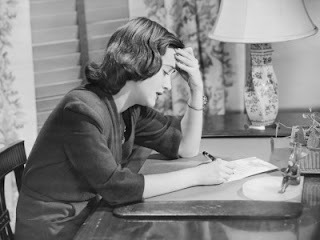 Gentle readers, your MatchGirl spent a lot of time thinking about resumes when she was unemployed. Not only did I spend a lot of time thinking about resumes. I spent a lot of time researching resumes. I spent a lot of time reworking my resume. I spent a lot of time editing fellow unemployeds resumes. I spent a lot of time thinking that the format or content of my resume did not really matter, since the job market was so exceedingly bad that the likelihood of someone seeing my resume - actually reading it - was so very unlikely. But your resume is important. The content, of course, is key. But what about layout? What about design? Your MatchGirl was recently in a position where she was on the other side of the resume. In searching for some interns for my office, I was the person who first read the resumes. The person who weeded through them and organized them for the people who would actually be working with the interns. I was the person who sifted through, hopefully with an eye that only one who spent so much time working on resumes and sending them out to no avail could have. And it started me thinking, again, about resume design. Don't go to crazy. If you'd like to use a signature color or font, keep it to the heading. Make sure the body of the resume is in black and the font is a standard one that everyone will have on their computer. Make sure - most of all - that it is easy to read. Some of the design students had a list of skills down the side of the resume, in a narrow, margin-sized column. As someone reading the resume, I liked this aesthetic, and found it easy to see if they had the skills that we were looking for. Keep it to one page. And not a super-crowded page. One easy-to-read page. There is a lot of talk about how this is not necessary any longer as resumes are emailed as opposed to mailed, but, in my opinion, it's still important. Over one page is too much. In keeping with the point above. Not too much information. Please. Every single accomplishment you have ever had is not pertinent to every job. Think hard about the jobs you are applying to. Think hard about the information you are supplying. If you worked at your college library and you're applying to jobs in library sciences or a book store or the like, cool, keep it. If you are only a couple of years out of school, cool, keep it. If your in your thirties and have been working in advertising, and applying for advertising jobs, there's really no need to let your future (fingers crossed) employer know you were good at shelving books in the 90s. I've got my resume, though not recently updated, posted on this blog. While the layout of my virtual resume is not perfect, I think the format is great for the kinds of jobs I was looking for. For the kind of job I found. My work experience may be in a mish-mash of fields, but there is a relevant thread. By dividing it into "Media", "Management" and "Related" a future employer can easily skim what I've done and what I'm capable of doing. It's chronological, but by area. And don't forget, the most important thing - have someone else, a couple of people, read it. Some outside eyes on your accomplishments and open editing help from a friend or two will only make your resume stronger.